Despite the damage to young plants caused by October's heavy and persistent rains, 2018 ended in a very optimistic way for Sicilian citrus fruit farmers, thanks to a quick comeback of the entire production. The current year is going very well in terms of quality and volumes for well-structured companies such as Oranfrizer. The company has focused on MMRs and the end-customers. 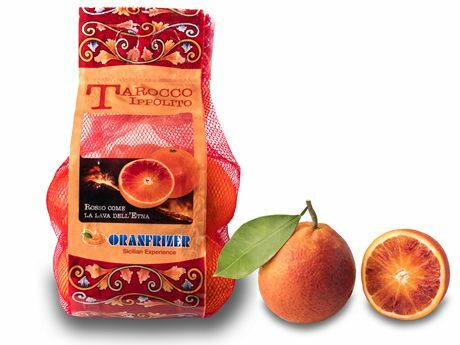 Starting from May, the company will market new varieties which Oranfrizer is already distributing from Sicily. Let's take a look at the red orange varieties: Tarocco Nocellare, Tarocco Tapi, Tarocco Ippolito, Tarocco Lempso, Tarocco Scaiara, Tarocco Meli, Tarocco Sant'Alfio. Tarocco red orange's biodiversity will keep being promoted by Sicilian producers: every new variety will indeed allow us to extend the red-orange season. Other red orange varieties are also available on the market, such as the Moro and the Sanguinello. Blonde oranges are already undergoing marketing: Naveline and Washington Navel. The season will end with the marketing of the Valencia and Lana Late varieties. 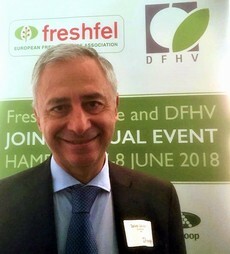 Salvo Laudani, marketing manager for Oranfrizer, took care to explain why, "Italian fruit farming must offer quality, otherwise we run the risk of being cut out, considering our production costs. These are way higher compared to other Mediterranean countries". The expert stated, "We have no choice: either we offer high-quality able to stand out and easily-recognisable by the end-customers or we are out. We need to start over from a qualified production of our own citrus fruits, which can be achieved through important investments to solve the Tristeza virus issue. Unfortunately, this phenomenon reduces the objective and marketing quality of our oranges, year-by-year". Laudani concluded, "Therefore, this challenge can be overcome only through a production requalification with investments in new red-orange varieties - Tarocco above all - as they allow us to extend our production schedule. The new varieties allow us marketing bigger quantities for a longer time - also thanks to the new rootstocks which are resistant to the most common plant diseases. Thus, the quality of the production is crucial as well as the search for new markets, which, however, we must be capable of supplying with a fair number of volumes". Oranfrizer has been always focused on communication and advanced marketing policies. This year, the company will participate in Fruit Logistica in Berlin, Hall 2.2 - Stand A05.